A central part of who we are as a Trust is a strong commitment to giving our students the widest possible access to the arts and sport. On Founders Day, earlier this year, we launched the Griffin Sports and Arts Fund. 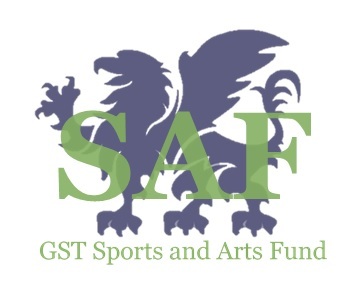 The aim of the Sports and Arts Fund (SAF) is to enable pupils to advance on the next stage of their investment in an activity in which they are showing a real interest. For example this could include, but is not limited to; supporting a student to buy or hire an instrument whilst studying for their next grade, or get hold of specialist sports equipment for a student who is playing competitively outside of school. a second-hand clarinet for a year 7 working towards her Grade 3 examination. Adidas goalie gloves for a year 10 students who plays at academy level for Coventry City FC. Capezio dance trainers for a year 5 student who auditioned and gained a place in a musical with a local theatre company. racing spikes for a year 11 student who is journeying towards the English Schools competition, representing Buckinghamshire at nationals. money towards new ice skating blades for a year 8 figure skater who competes internationally and has represented team GB. Applications have now opened for round 2 and are being accepted by Year 3 – 13 students from any of our member schools until midday Monday 2nd July 2018. For more information and guidance on how to fill out the application form please download this document.